By TLex Davosa have released a new Tritium diving chronograph with an ETA Valjoux 7750 automatic winding caliber. Its satin finished 42.5 mm x 17.5 mm Stainless steel case is fitted with a Helium escape valve, a Sapphire crystal and a screwdown caseback and crown. It has a water-resistance of 30atm / 300m. 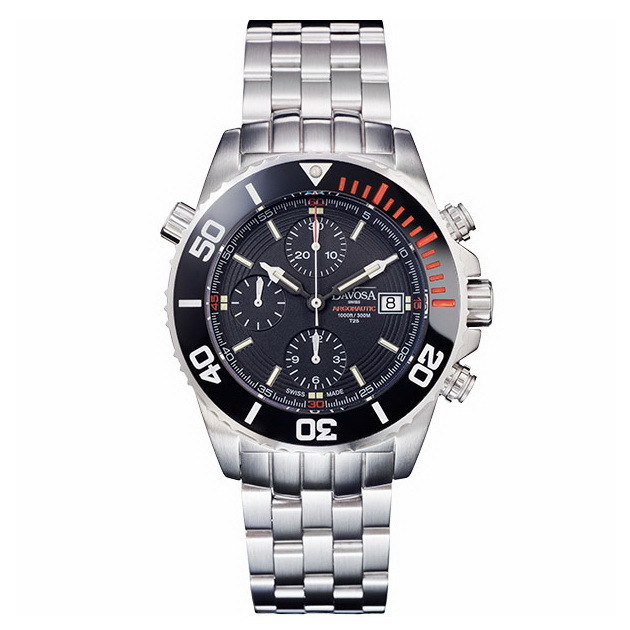 The case is also fitted with a unidirectional rotational divers bezel with a high-tech ceramic insert. Its black dial and hands have been applied with active luminous Tritium gas tubes. 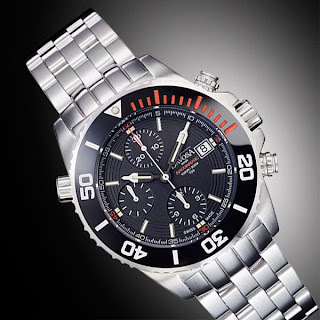 The watch comes on a solid steel bracelet with a divers safety clasp and extension.